When I was in Middle School I was a member of the Choir and every year at Christmas time school choirs from across the metropolitan area would come together to perform Handel’s Hallelujah Chorus from the Messiah. To this day, I still feel the passion and exuberation I experienced those many years ago whenever I hear my favorite choral piece. 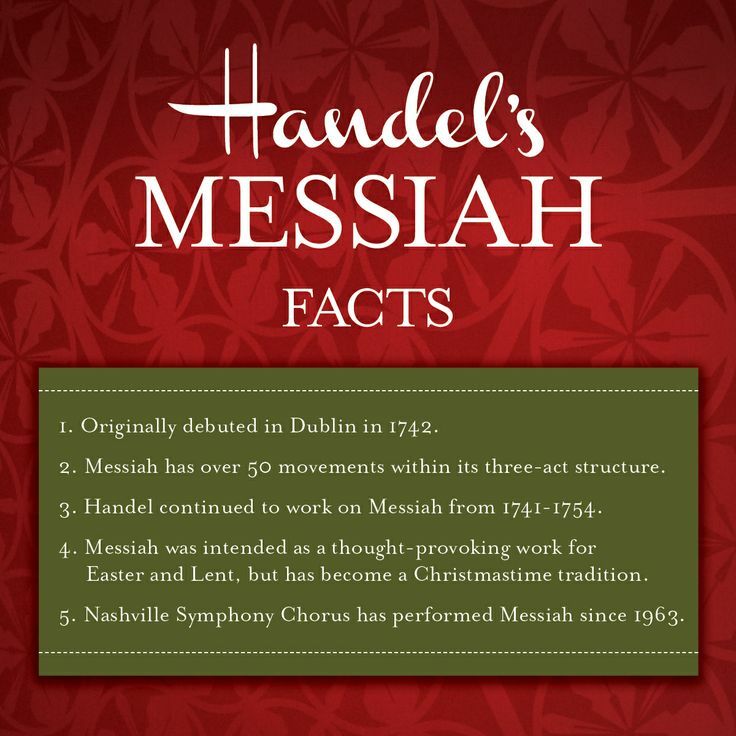 The Messiah is an English-language oratorio composed in 1741 by George Frideric Handel, with a scriptural text compiled by Charles Jennens from the King James Bible, and from the version of the Psalms included with the Book of Common Prayer. It was first performed in Dublin on April 13, 1742, and received its London premiere nearly a year later. After an initially modest public reception, the oratorio gained in popularity, eventually becoming one of the best-known and most frequently performed choral works in Western music. This Christmas performance by our choir was, for me, the highlight of the season! This was the early sixties and integration was an ever present topic and the city-wide chorus was an opportunity to bring all schools, black and white, together to celebrate the birth of Christ and to also bring together children who otherwise might never have met to learn and understand that we have more commonalities than differences. So, in honor of the season and the celebration of Christ’s birth, I present from Handel’s Messiah the Hallelujah Chorus.